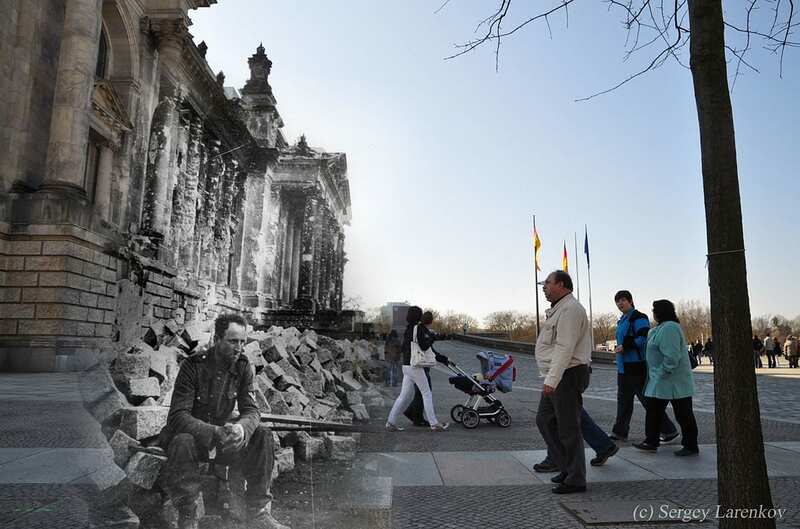 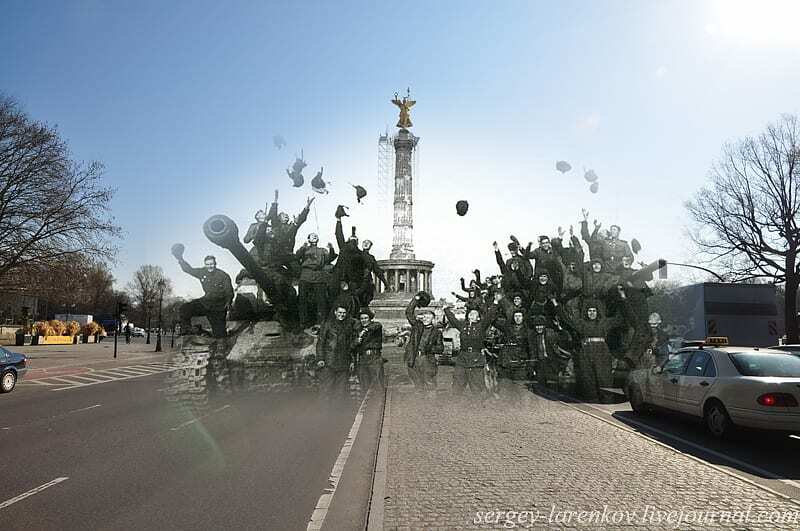 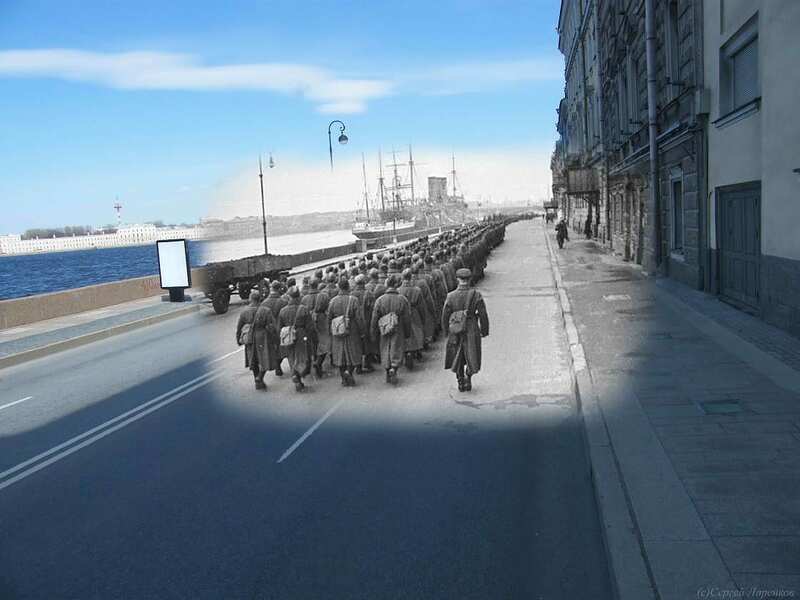 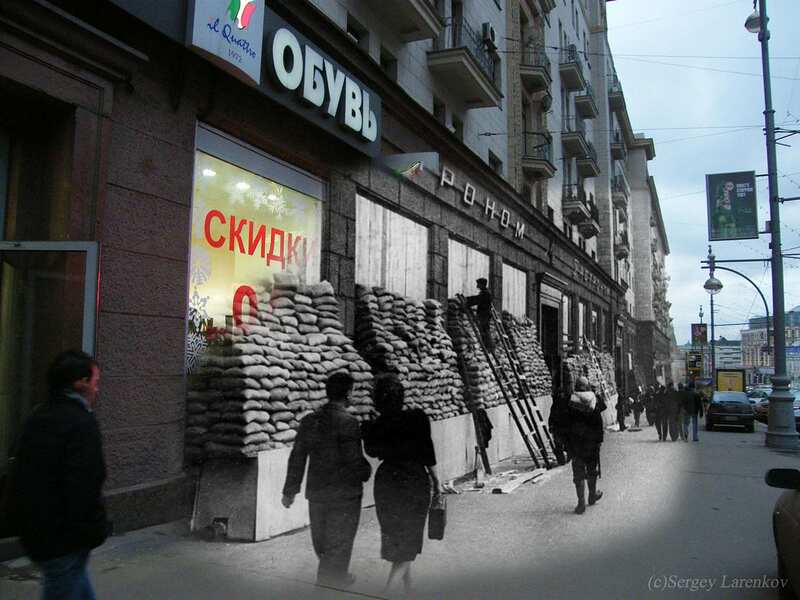 HomeBlogArtGhosts of WWII by Sergey Larenkov. 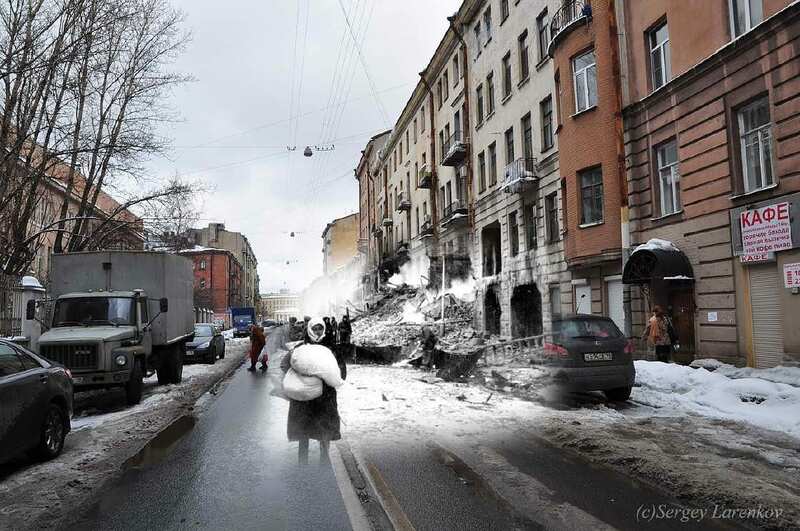 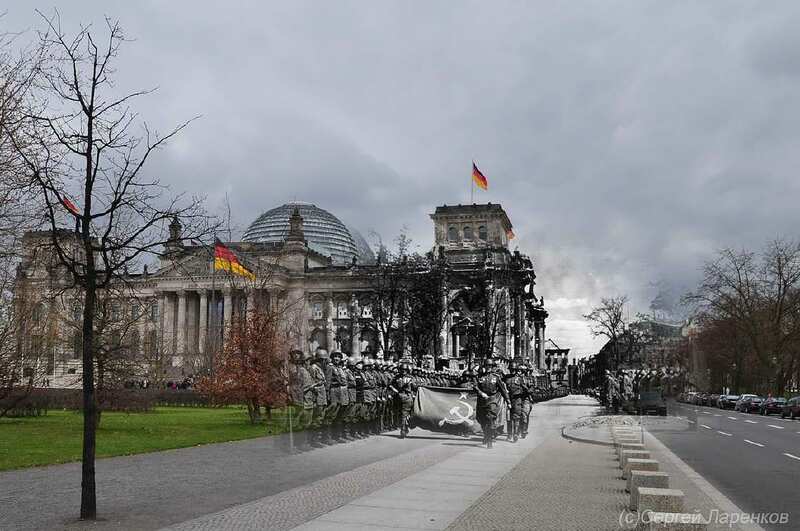 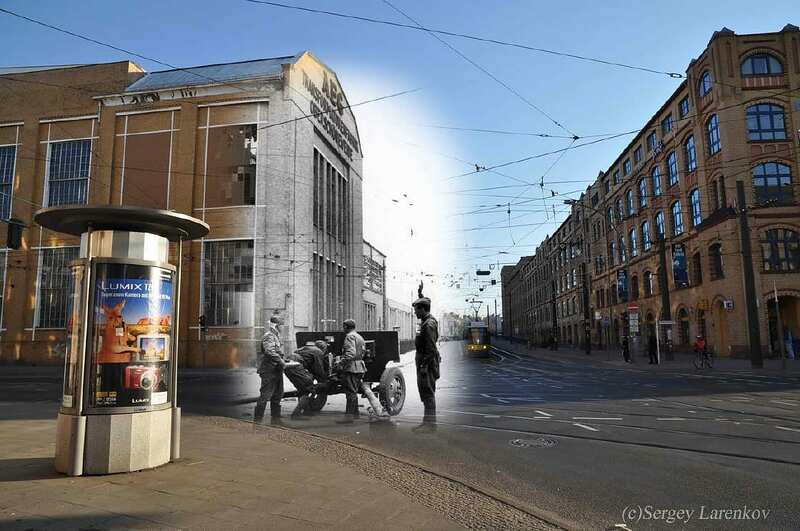 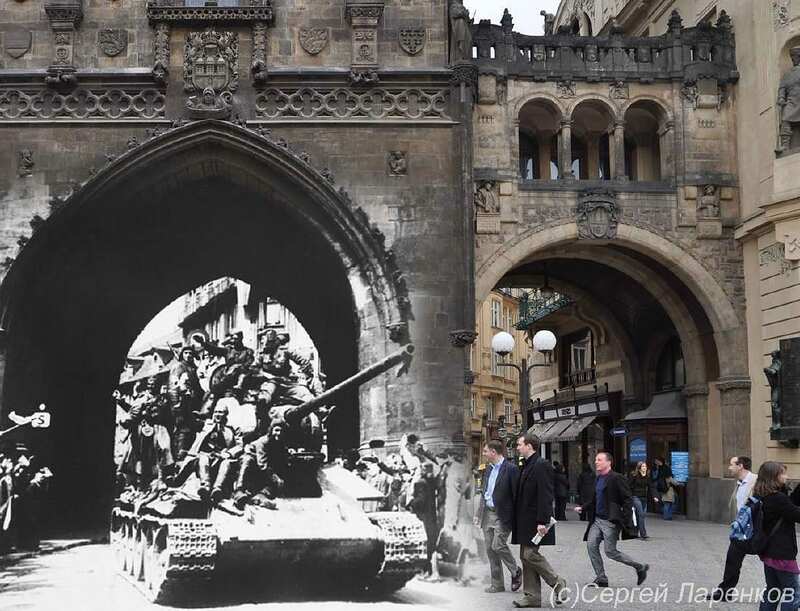 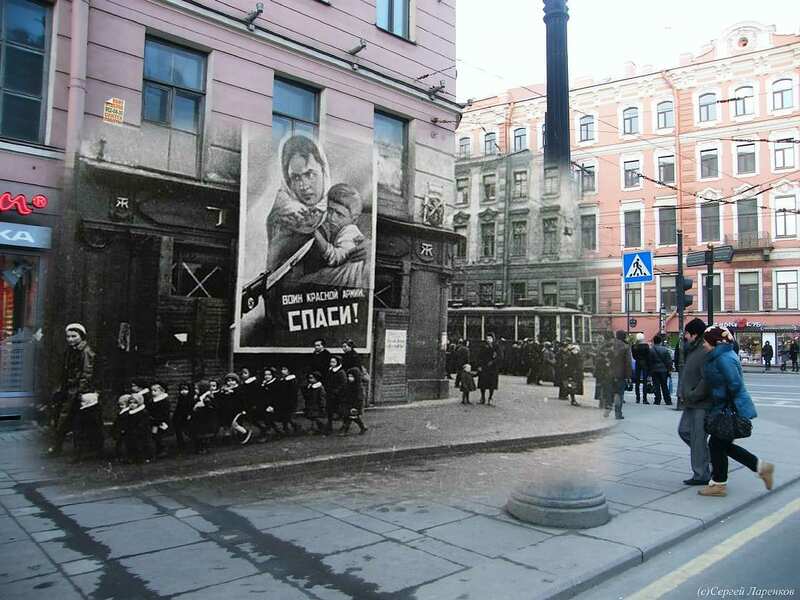 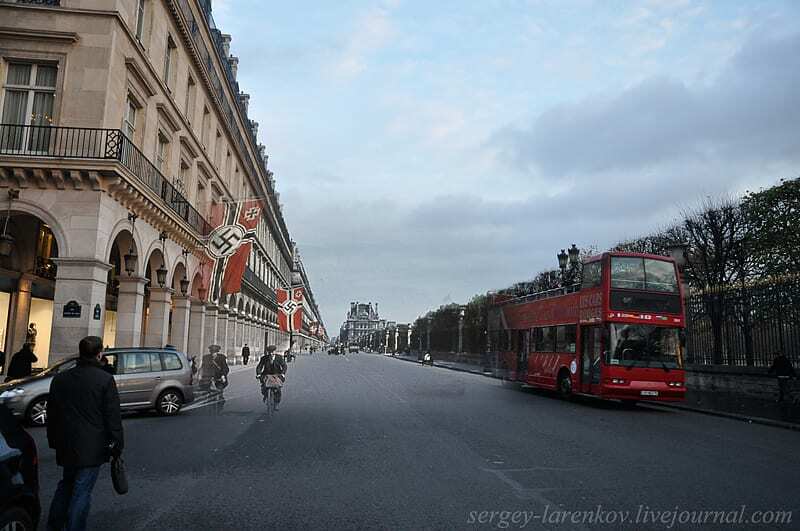 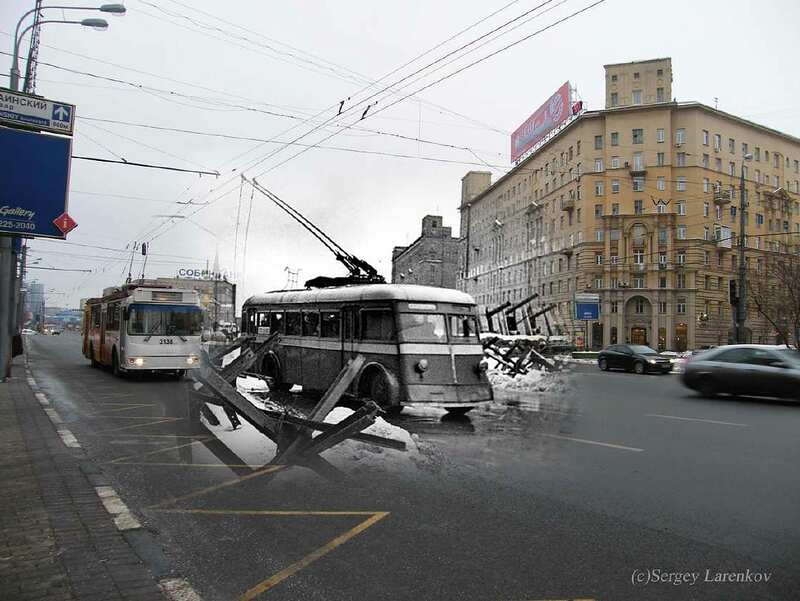 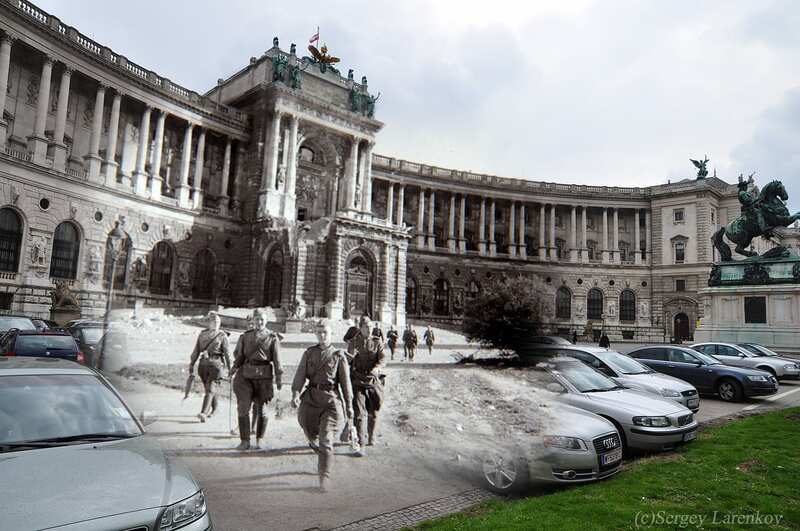 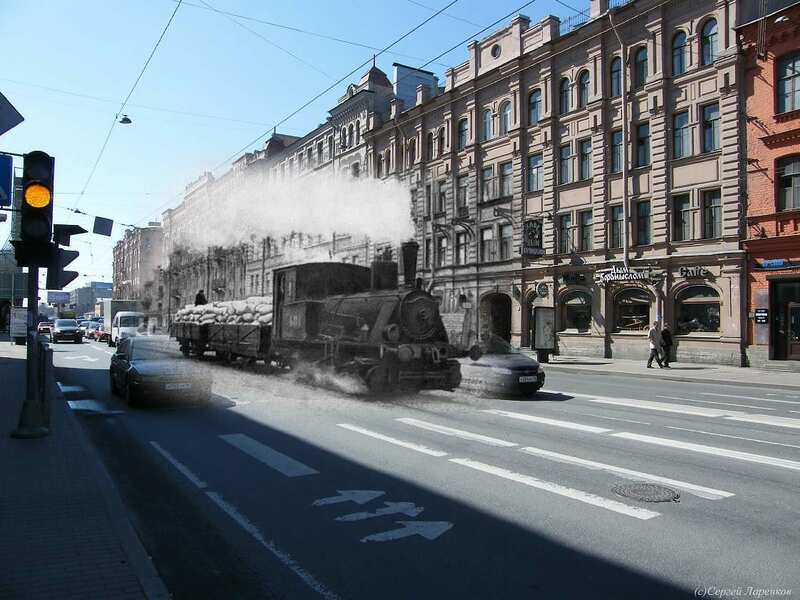 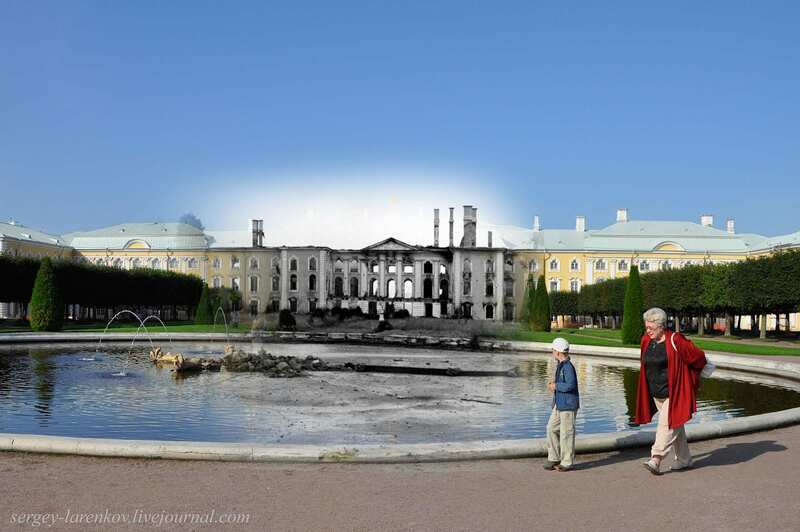 Russian photographer and graphic designer Sergey Larenkov started a fascinating project, by using computational rephotography he is overlaying WWII era photographs with modern day photographs from the exact same place. 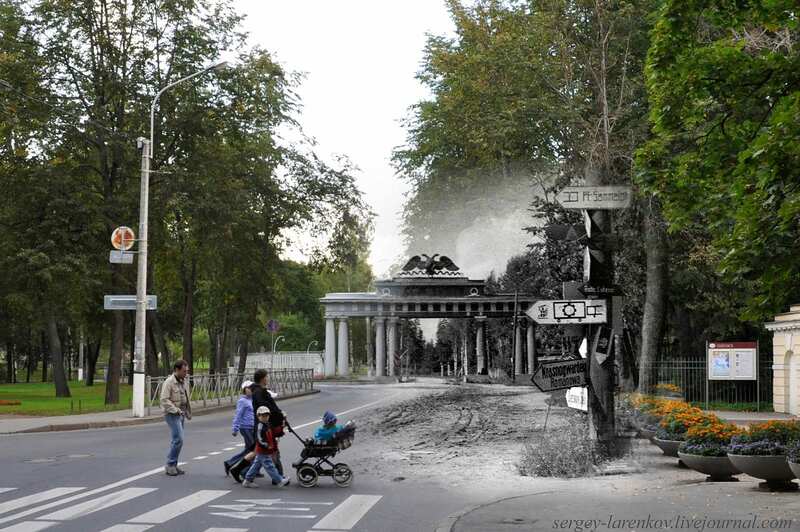 With the aid of his photographic Lens and Photoshop, Sergey Larenkov travels us through time, in a way both spooky and stunning. 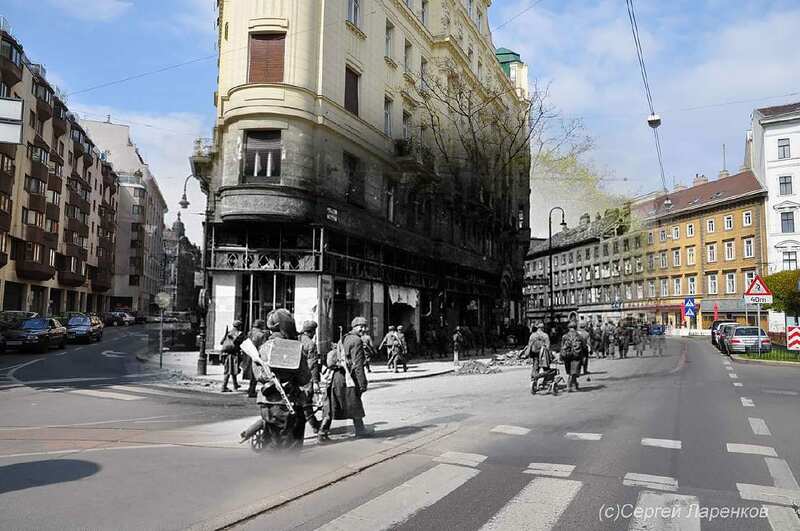 Streets remain the same, but the scenery is radically different as we travel through one of Europe’s darkest times. 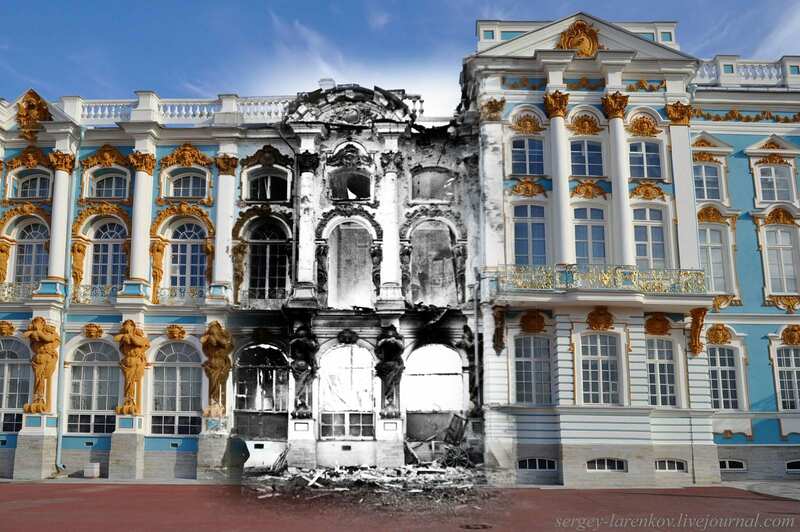 Berlin, Saint Petersburg, Paris, Prague and other historic cities are the scenery on which the history of Europe unfolds, as the past blends with into the present. 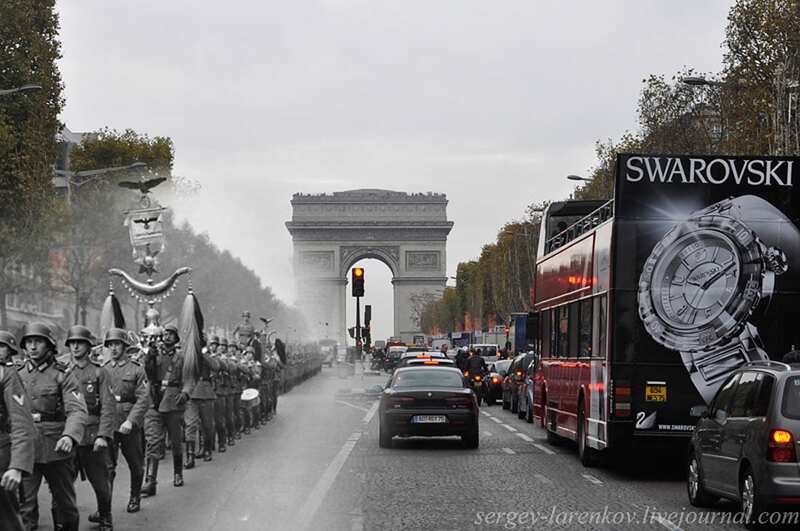 The work done with Photoshop is amazing and the matching of photographs is also flawless. 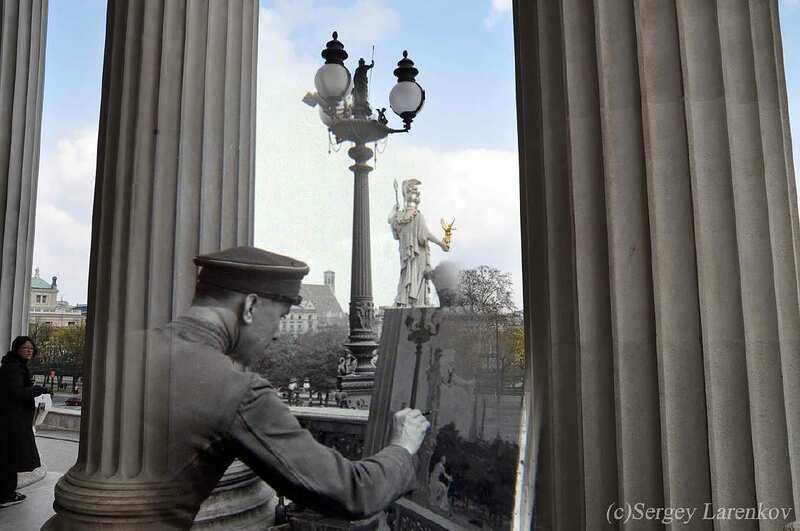 All pictures are shot from the exact same angle and overlap perfectly, creating many striking images. 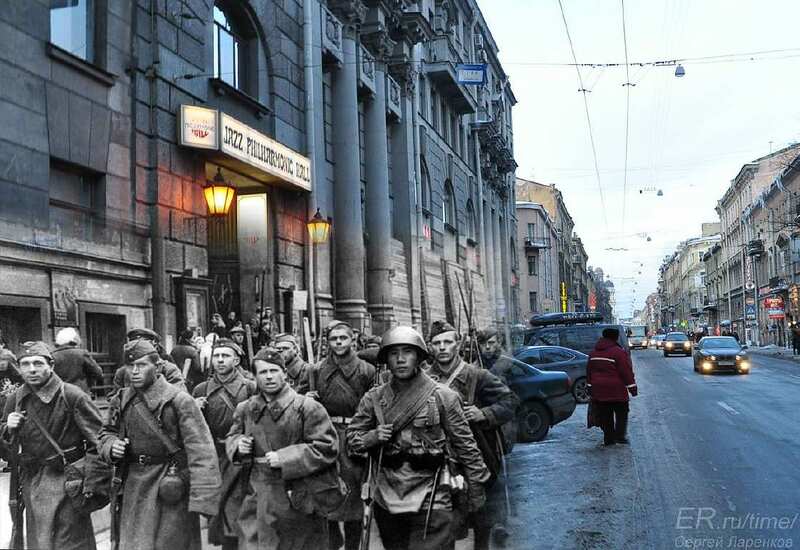 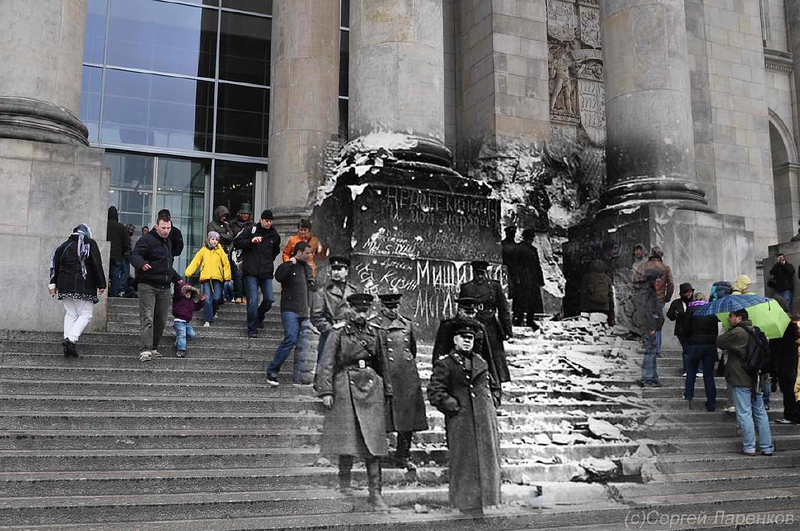 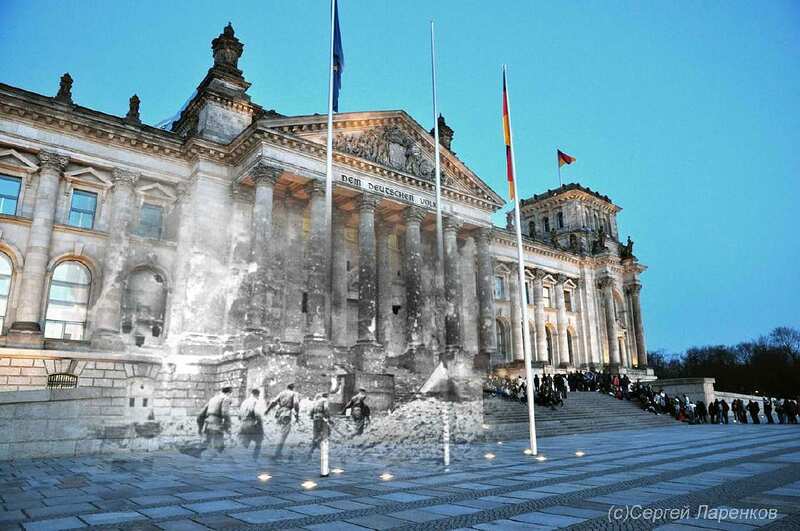 The contrast of the identical locations in the past and the present is shocking, reminding us how little time has passed since the great war and how quickly the world changes. 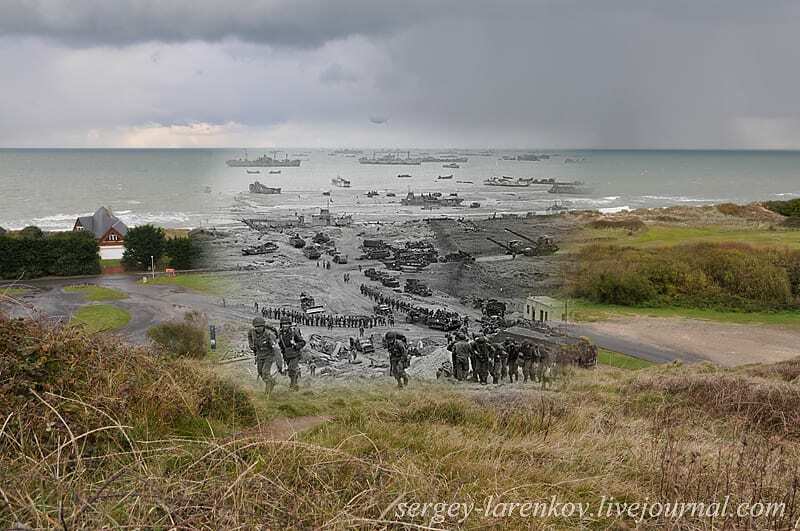 Each picture is literally worth a thousand words.